The city of Sheffield is indeed a place that has harbored various technological and industrial advancements over the recent years. It's a city that is well known for its historical heritage and its cutting-edge development in terms of architecture and education. There are some prominent educational establishments in and around the city that attracts thousands of students every year to pursue their stream of knowledge. The University of Sheffield and Sheffield Hallam University are two of the widely known universities in the city attracting over 65,000 students every year combined. The city is developed in such a manner that there are various accommodation centers in and around the town to facilitate the students in student dorms or student halls. Student life in Sheffield is more intuitive and mixed between education and leisure. There are many centers of entertainment and recreation establishments such that students can get the best of what the city has to offer. Also, pubs and bars are quite prominent in the town. Several malls and theatres are well within reach,either by walk or by public transport. Therefore, feel free to explore your options as the city never fails to impress each time you get out. 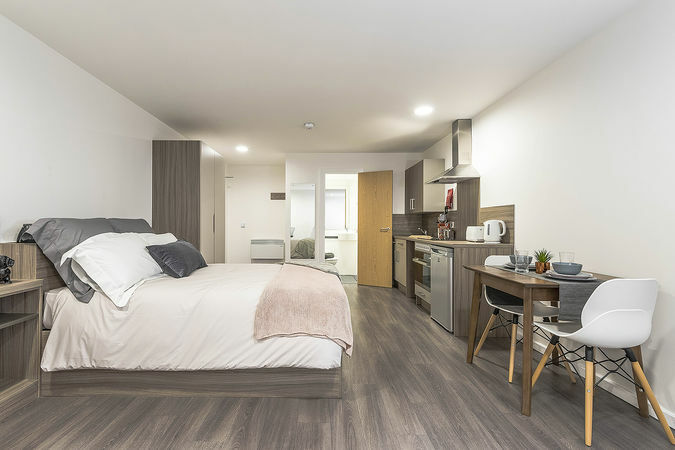 International and national students coming to Sheffield to pursue their education need someplace to live, and this is where the accommodation halls and student rooms come into the picture. If you are wondering that universities provide hostels for students to live in, well you could opt for those, but then with the set curfew, you might not enjoy the true essence of the city. There are many essentials that one has to keep in mind before choosing their student hall. Wi-Fi, laundry service, three-course meals, etc. are a few of them. 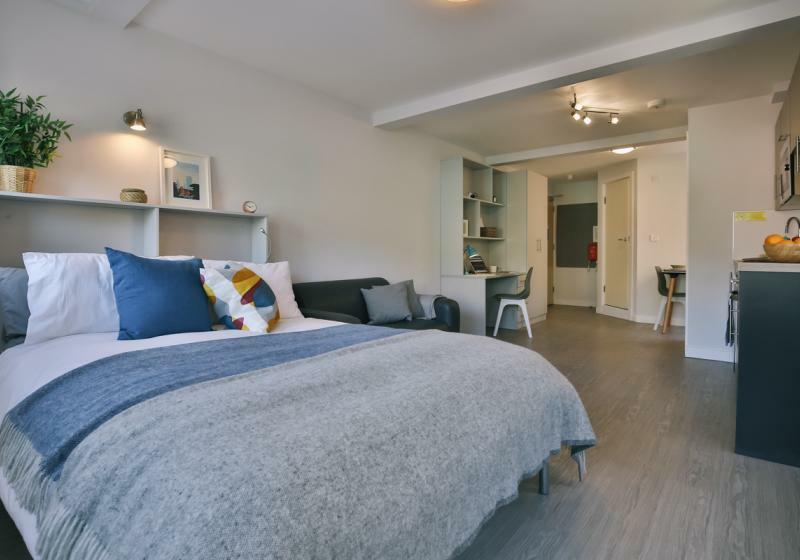 ### Hollis Croft Hollis Croft Sheffield is one of the popular upcoming property that is filling in quickly when it comes down to student en-suites and studio apartments. This property is newly established in the city and has some exciting deals to offer that are currently live. Amazon gift voucher worth 100 pounds. Supermarket voucher worth 100 pounds of your choice. Choose from a Nintendo switch/beats solo 3/ GoPro hero. Automatically enter a lucky draw competition and stand a chance to chance to win a full year's free rent. (All the conditions given above are subjective to change and are available only on approved bookings from 19th March to 31st May). Not impressed yet? Well, get ready to reconsider then because the offer spree just doesn't ends here. The property is also providing some tempting deals currently from which the students can benefit significantly. Book your Summer stay and get a cashback of £300 for minimum 6 weeks stay. So what are you waiting for? Start booking already! These are some of the accommodations that are highly in demand and are filling in swiftly. So, what are you waiting for? Browse through the options and start booking already before all the premium options run out. We hope you book the accommodation that suits your disposition the best. If you are a person that is looking to kill the weekends by dancing and partying away, then Sheffield will not disappoint. With bars and pubs that play some head banging beats, you can forget the stress of education and have the best time of your life in the pubs and bars in the city. And don’t worry, these pubs and bars are spread across everywhere in the city and are accessible by every means of transport. Most of which are located in around the universities such that getting there isn't much big of a deal. Therefore, to conclude things, the city of Sheffield is a city that has almost everything to offer. With amazing universities, a plethora of accommodation services and some happening nightlife it’s a city that you must consider if you were to pursue your future education. So, all the best and do the needful.